Knowing what to expect every step of the way when buying a new home can help eliminate some of the stress from the process. One of the important steps during this process is the Home Inspection. This step occurs before the final closing on your home. A home inspection helps protect you and your investment by allowing you discover any potential issues with the home that might have been overlooked or undisclosed. You can then decide whether to renegotiate with the seller or, if the issues are too extreme, walk away from the home. 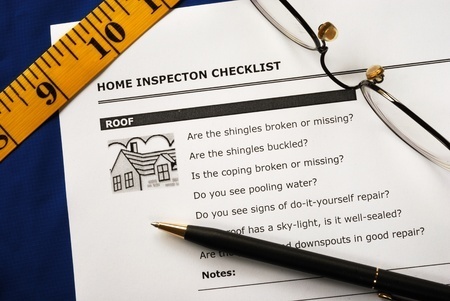 Here are the important things to keep in mind when you are ready for a home inspection. Make sure to hire a highly skilled home inspector. You want to make sure that you use someone that will complete a thorough review of the home. In order to find the best home inspector in the Fox River Valley, contact the Rullo Team for our recommendations. Once you have the names of recommended home inspectors, it is smart interview them to find the one best for you. Use this opportunity to find out about their training, expertise, and experience. You should also ask to see their past home inspection reports to make sure that they are highly detailed and offer recommendations for issues found. Attend the home inspection, if possible. This will allow you to walk through the home with the inspector and find out about any issues immediately. It gives you the opportunity to fully discuss recommended fixes with a professional. The home inspector will review everything between the roof to the basement floor. Although the physical structure of the home and all major systems and appliances will be inspected, realize that there still could be some hidden issues that the inspector just is not equipped to reveal. By having a discussion with him during the process, you can ask questions and find out if there are additional things you should be on the lookout for should you decide to continue with purchasing the home. For more Home Buying Tips or to Search Homes for Sale in the Fox River Valley, give us a call today or visit our website at http://www.therulloteam.com/. We are happy to help you every step of the way to find and purchase your dream home!